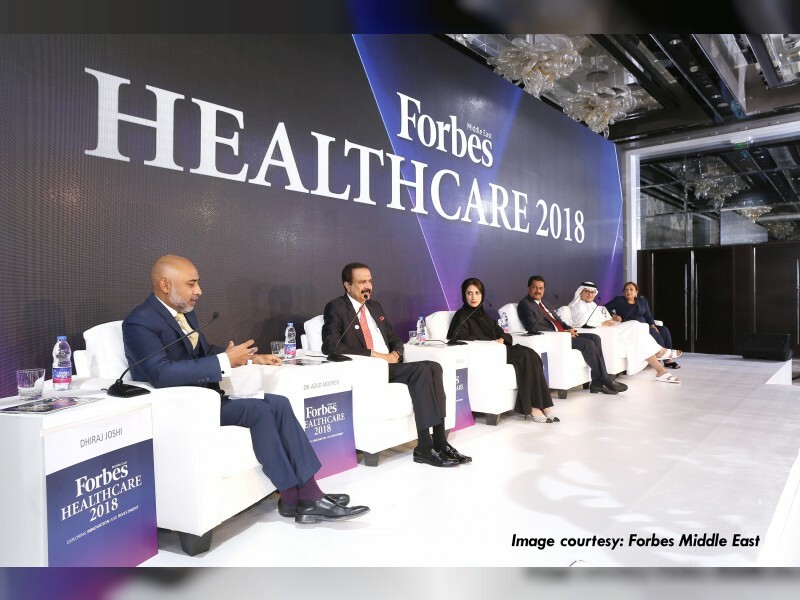 DUBAI, 5th April, 2018 (WAM) -- The Forbes Middle East healthcare event which took place recently in Dubai has highlighted the current trends and potential opportunities in the healthcare sector and discussions were centred around shaping the future of healthcare, finding a balance in pharma and implementing machine medicine. Zanubia Shams, Co-Chairperson at Zulekha Hospitals, was one of the panellists in the inaugural of the event. The event was opened by Amin Al Amiri, Assistant Under-Secretary at the Ministry of Health along with other healthcare industry leaders. Al Amiri shared insights on the UAE’s healthcare services and how the country continuously strives to provide the best state-of-the-art healthcare and pharmaceutical services in the region, he also highlighted the role of technology and innovation and shared acumen on the country’s growing healthcare expenditure to promote healthcare services. Zanubia Shams said, "Zulekha Hospitals remains committed and continuously strives to support the UAE’s commendable Vision 2021 which aims to achieve a world-class healthcare system to ensure a longer, healthy life for the country’s citizens. We are pleased to participate in the first Forbes Middle East’s healthcare event, and to be a part of a productive forum that allows us to discuss best practises and meet with other healthcare professionals as we collectively work towards achieving a healthier Middle East."